Hey all. As I mentioned recently, I’ve been having fun with YouTube, just about as much as I have writing here. I recently had one of my YouTube buds ask about astronomy, and when I mentioned I write about it occasionally, he encouraged me to try to incorporate a YouTube adaptation… I was skeptical, but I set out to see what I could do along the lines of doing YouTube primers on astronomy topics from the point of view of my primary audience, which are outdoors enthusiasts. New Year’s was crazy with specific events: Super Moons, Quadrantids, Mars/Jupiter conjunction, etc… and that video was very much like the blog post I published on the same topic. But THIS week, I did a two part video. Part 1 – A rough intro to the sky, particularly the ecliptic and the zodiac, as both a calendar and a clock. 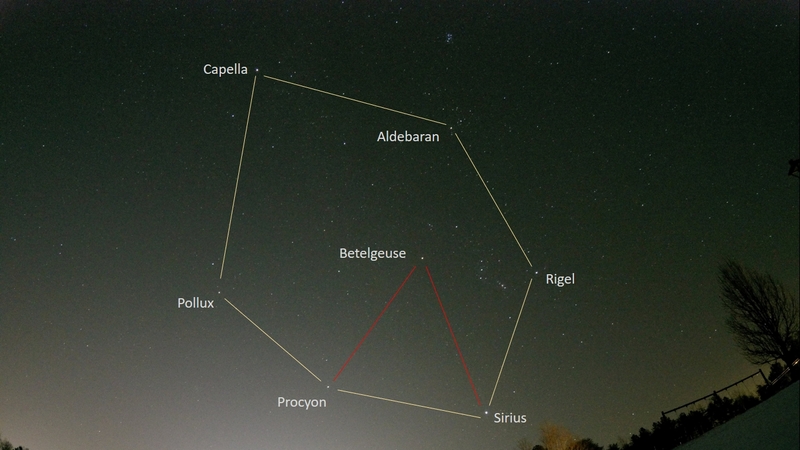 Part 2 – An intro to the Winter Hexagon (and Winter Triangle) as a means of exploring and learning a bunch of different constellations. They seem to be received well – again, not targeting these at astronomers, but at folks who spend a lot of time outside and want to understand more about the night sky. Give them a look and let me know what you think!